As a parent, and grandparent Marilyn Pentel, Creator of Mannerly Manners® understands that kids often become parent deaf and sometimes respond more openly to an outside voice. We support family values and our "Yes, Please. Thank you!" class gives you as parents' key components to creating a compassionate, loving and kind home environment . 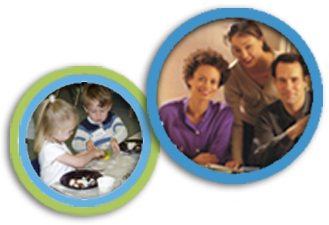 Our family class gives you a safe place to practice the the skills we all want to see in our world today. 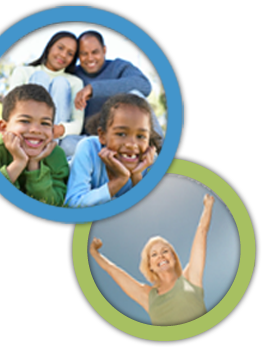 Let Mannerly Manners® be the outside voice that empowers your family! Learn with your kids in an interactive, fun and engaging class that focuses on family time, communication, and togetherness. 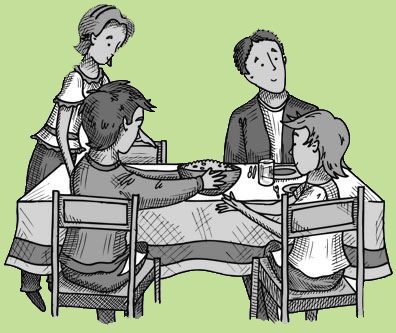 This interactive class offers practical advice on family manners at the table, on the telephone, at parties, in everyday settings, and reinforces what you are already teaching. This program provides you with easy to follow, useful and interactive character building exercises that you can continue to practice at home. Class includes dessert (3-course hot lunch some locations,) handout, and discount coupon for kids programs. Sometimes when there is conflict in the family, we blame others or ourselves when the situation makes us feel uneasy. Our family manners program teaches family members to discern rather than judge, empowering them to see difficult feeling for what they really are. Can you imagine your kids in any of the following situations? If you can, you're not alone. Two brothers think the funniest thing in the world is a colossal burping contest at the dinner table. A girl wants to borrow her younger brother's I-Pod"!. The younger boy is not at home, so the sister just takes it. Several teens stop by a friend's home. Without asking permission, the visitors go into the kitchen, search cupboards, refrigerator, and freezer for snacks helping themselves to what they find. These are actual experiences shared by real parents. If you're like us, you cringed a bit as you read them, because you could imagine your own kids doing similar things. The truth is we live in a time when manners the simple rules people follow to help everyone feel at ease are not stressed outside of your home as they used to be. More importantly it has become clear that most cannot define the words they use everyday, respect, attitude, compassion, manners. When we are respectful, we express the virtues of compassion, love, and kindness, and when we are mannerly, we are sensitive to the needs, desires, rights, feelings, and property of others. These virtues are timeless; they are always important. It is what's inside a person that counts, but no one is going to stick around to get to know the 'real you' if being in your presence makes them feel uncomfortable. Public Agenda research group shows eight of 10 people agree that lack of courtesy is a serious national problem. The solution is for parents to teach manners in the home and that it's never too early to start. Teaching your kids manners can be a challenge in a world where common courtesy is less and less common, but you can be successful by working at it a little at a time. “The conference was an overwhelming success and you played a key role in making it happen. Your session was interactive and informative...You provided our teens with great lessons on how to handle themselves appropriately in different social settings, as well as the extra edge of social skills needed in the 'real world'."